iRealHousewives | The 411 On American + International Real Housewives: Meghan King Edmonds Shows Off Bare Post-Baby Bump And Reveals The Names Of Her Twin Boys! Meghan King Edmonds Shows Off Bare Post-Baby Bump And Reveals The Names Of Her Twin Boys! 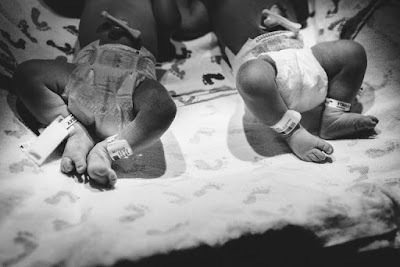 Meghan King Edmonds revealed the names of her twin boys in a post on her personal blog on Friday, June 8. In the post titled “My birth story,” the former Real Housewives of Orange County star who welcomed her twins wrote that she’s named her sons Hayes and Hart. Meghan, who also shares daughter Aspen, 18 months, with her husband, wrote that they took a couple of days because they were deciding between the names Hart, Hayes, Haze and Lake. Edmonds revealed in her birth story that Hart was in breech position when she went into labor. There was the possibility that she’d need to have an emergency C-section but she ended up delivering both of her babies naturally, without an epidural. Edmonds posted a bathroom mirror selfie to her Instagram Story two days after giving birth that showed off her bare belly.